The grass has finally turned green! It makes photographing quilts a lot easier, that’s for sure! You’ve seen this quilt recently, as I posted about it when it returned from being quilted by Rachel of Stitched in Color, but now it’s fully complete with binding on. I opted for a solid maroon colored binding to give it a bit of a frame, and I’m really happy with how it’s turned out! 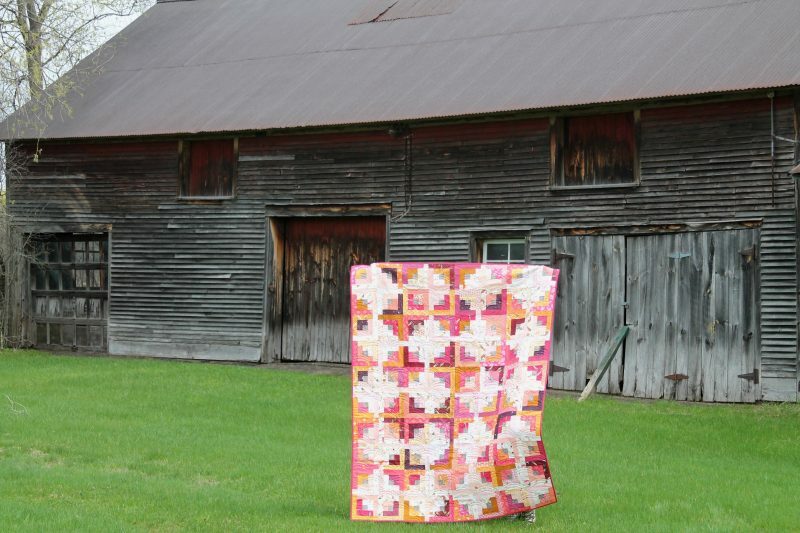 The backing is another Mendocino print that I love, and just look how nicely that quilting complements the quilt. I’m so happy Rachel suggested it. 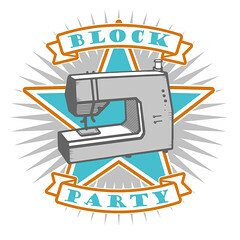 (Find more info on her quilting services here). 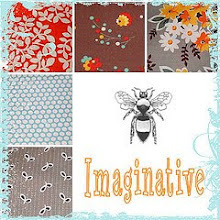 This entry was posted in Fabric, Finished Quilts, Posts about Quilts, Quilts. Bookmark the permalink. quilting by Stitched in Color! 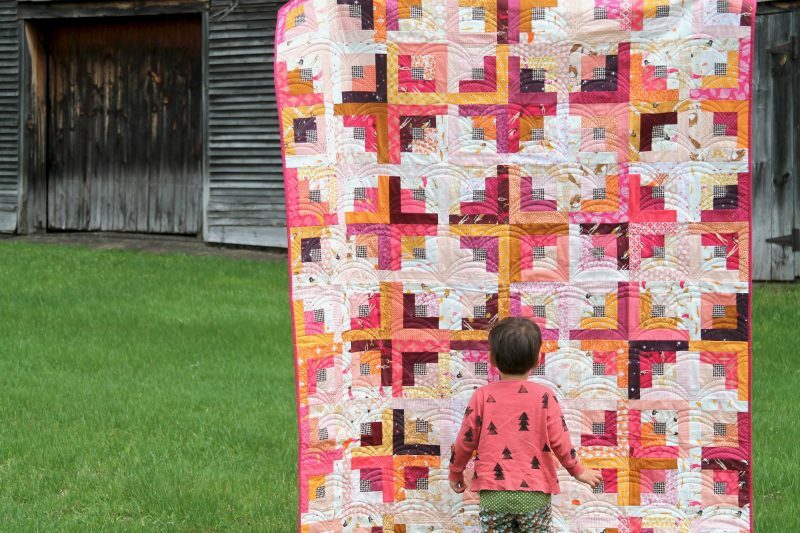 What a bright and happy quilt! I like the quilting too! Love the colors and the checkered centers are just right to add a surprise. Love the colors, very Happy! When the two year old co-ordinates with the quilt and the grass OF COURSE they should be in the picture! Quilt looks lovely, and hurray for the finish. Oh my goodness, Ashley, this quilt is beautiful! and you are right ~ the quilting is superb! Those colors are so inviting and engaging! Thanks for your talent sharing! You and Rachel make a good team. The top is gorgeous, but that quilting manages to straddle modern but familiar. It is a beautiful quilt and a beautiful finish. Good for you to persevere! Wonderfully fresh and definitely Springlike! It’s really really lovely. And set off so nicely against the green grass and the barn! It’s beautiful and I love those colors! What a treasure. Beautiful quilt! 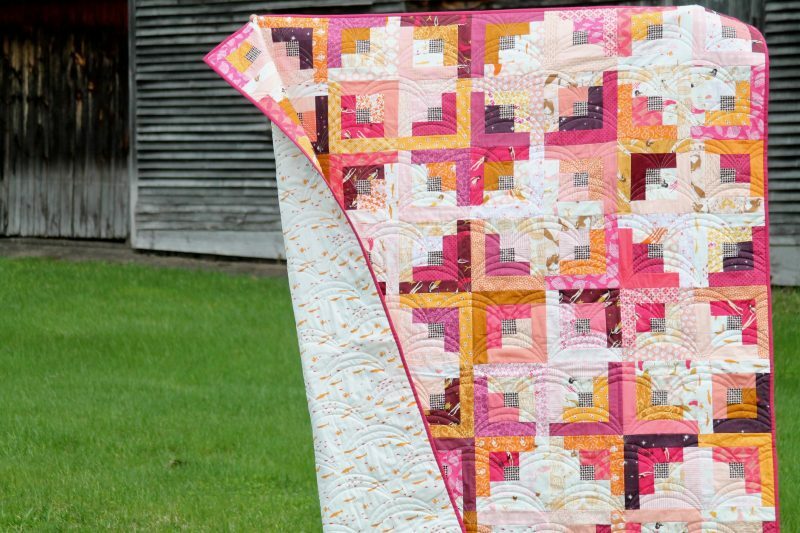 Did you use templates for the arcs in the quilting? 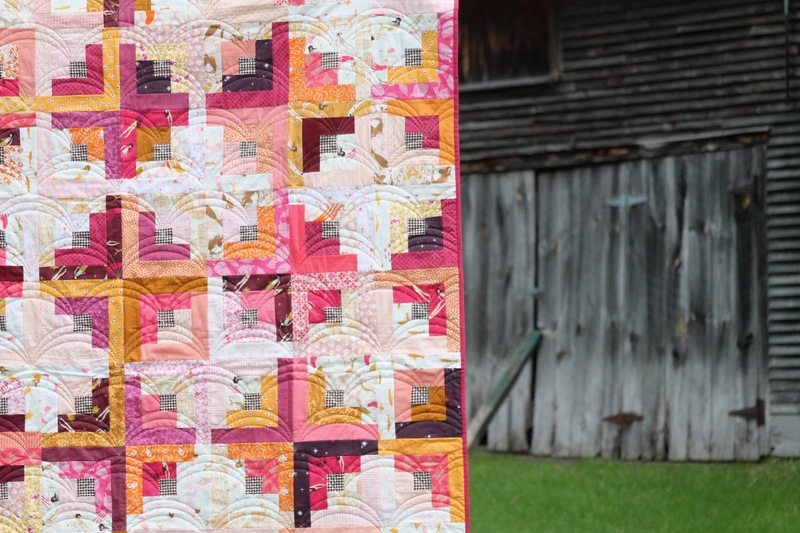 The colors in this quilt look fabulous together and the quilting is really perfect.